A Personal Representative is entitled to hire a lawyer, at the expense of the estate, to help him or her properly carry out the many responsibilities of the office. Although the lawyer hired by the Personal Representative is often referred to as “the lawyer for the estate” the lawyer actually represents only the Personal Representative, in his or her fiduciary capacity. As lawyers specializing in trust, estate and probate matters, we are ready to assist in all of these matters, and we take seriously our responsibility to protect our clients from fiduciary liability and legal entanglements of any kind while helping them carry out their fiduciary duties. We can help: the Personal Representative is said to have a “fiduciary responsibility” to the beneficiaries of the estate, which refers to the very highest level of duty or responsibility one person can legally owe to another. 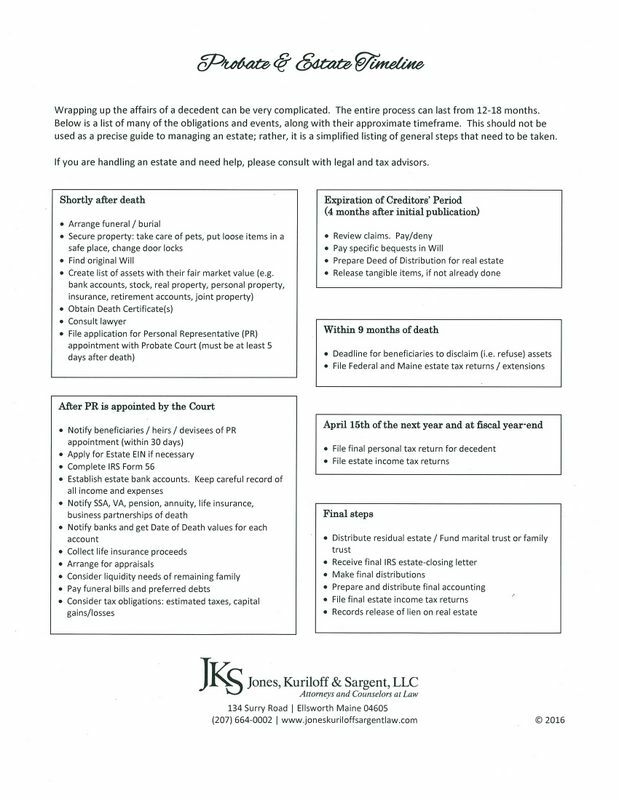 By accepting appointment as Personal Representative, a person is voluntarily taking on this high level of responsibility and submitting to the jurisdiction of the Probate Court. It is not a responsibility to be undertaken lightly. In fact, fiduciaries are held to different, higher legal standards than individuals acting only in their own interest, as a matter of law. As attorneys, it will be our duty to the Personal Representative to fulfill the responsibilities and exercise the powers provided by by law in a way that compiles with legal requirements, satisfies the beneficiaries, and protects our client from liability. Another important goal is to accomplish this as quickly as possible, without wasting time or money. We pride ourselves on completing probate and estate tax matters in the shortest time possible under the circumstances of each case. If you have been named as Personal Representative (or would like to be) and chose to allow our firm to provide legal representation to you in your fiduciary capacity, all of us will dedicate our best professional efforts to making your experience a positive one. Estate administration is time-consuming, detail-oriented, and fraught with emotions. Having us handle the details removes one more layer of stress during a time of difficult transition for many families.